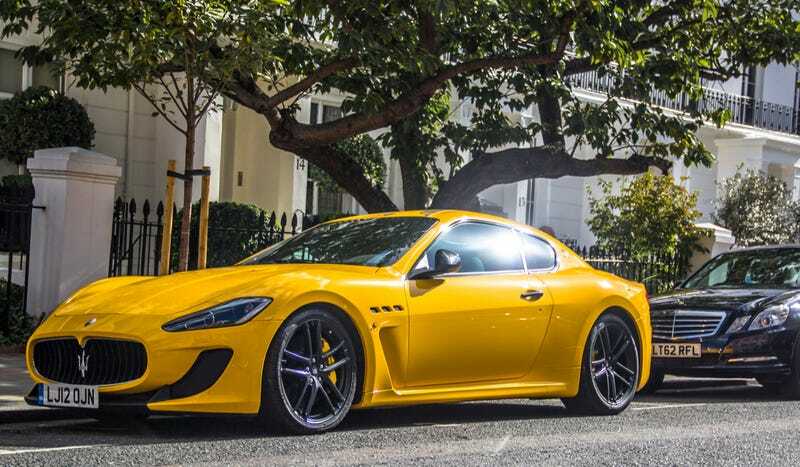 Would You Drive This New Maserati If You Had To Listen To Taylor Swift? Perhaps you haven't heard the news, but T-Swizzle has moved into the hip-hop game. That's right, in one of her latest singles, she "dropped" a "ref" to "Maser." The first line of "Red" is, "Loving him was like driving a new Maserati down a dead-end street." We'll allow you to drive it down any streets you want, but you'll only have one choice of music. And that choice is Tay Swift. Now some among us might have a guilty pleasure for pop music. Others aren't even ashamed to say they like it (nor should they be). To others it sounds like nails on a chalkboard. It's all about preference, man. Regardless of your preference, listening to a single artist every time you drive isn't going to be much fun. On the other hand….it's a Maserati. So which will it be? Can you put up with non-stop T-Swizzle for a T-Rident on the front your car? Be sure to tell us in the comments.